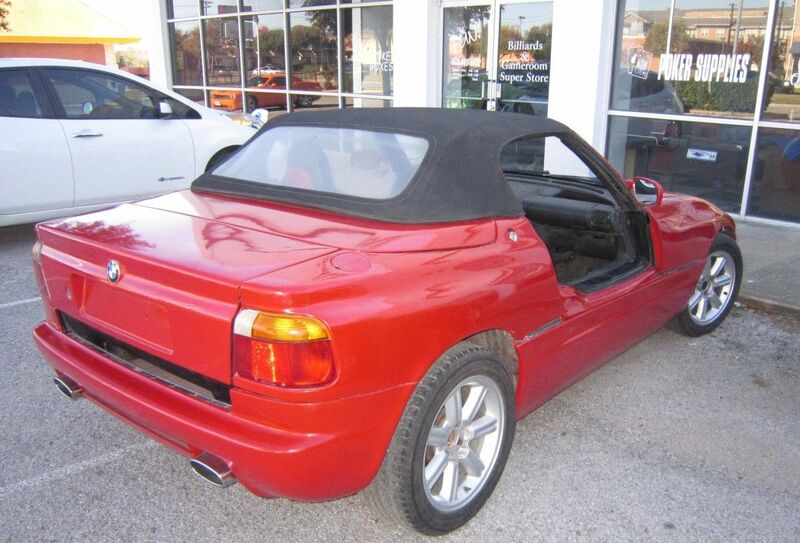 Find this 1990 BMW Z1 here on eBay bidding for $10,266 with 3 days to go, located in Mesquite, TX. Inspired by its famous predecessor the 507, the Z1 was not especially cheap to buy originally, but was built to BMW's traditionally high standards. Some regarded the car as faultless, and it was certainly among the best-handling sports cars, but the important point for BMW was its standing. BMW had returned to making true sports cars after many years absence. The Z in Z1 originally stood for Zukunft (German for future) and would later be used on other cars in the line: the Z3, Z4, and Z8. A 'concept car' first shown by BMW in 1986 and officially presented at the Frankfurt Motor Show in 1987, the Z1 sports roadster was used to showcase emerging automotive technologies, including the 'internal skeleton' method of construction best known for its use by Rover in the 2000 model of 1963. Molded plastic panels clothed the galvanized steel chassis, which was braced by a molded composite under-tray. Unusually, the doors dropped into the body sides to provide access. 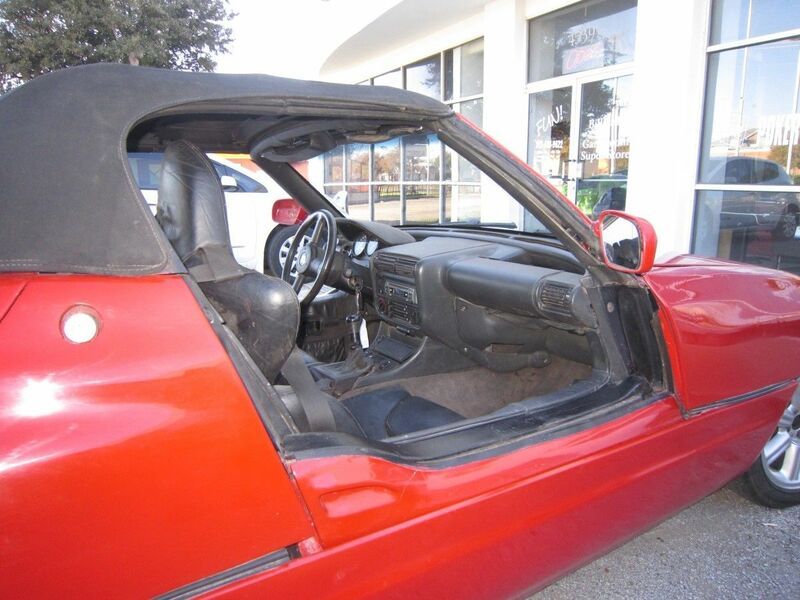 The car could be driven with all the panels removed, and it was suggested that owners might want to buy a second set in an alternative color. The running gear was more conventional - MacPherson strut independent front suspension being complemented by a wishbone set-up at the rear - while motive power was supplied by a 2.5-litre, 170bhp version of BMW's overhead-cam straight six driving the rear wheels via five-speed manual gearbox. Top speed was around 140mph with 60mph coming up in 7.8 seconds. Production began slowly in 1988 at the rate of six cars per day, ending in 1991 after 8,000 units had been built. Demand was strong from the start despite a high price and today this landmark model continues to be highly sought after by BMW collectors. 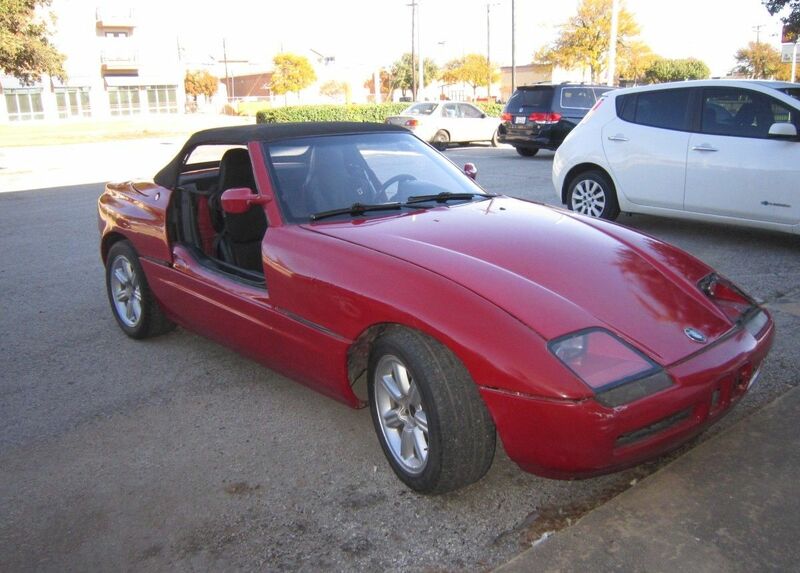 This BMW Z1 is a project car that I have not gotten around to working on, so I am going to let it go to a new home. it will need the clutch adjusted and the power steering belt replaced. The top needs to be replaced and the body needs some minor work and a new coat of paint. Also, one of the headlight covers is broken. I put a brand new battery in it and started it and drove it around the block today. The doors were working when iast parked it a year ago, but now they are not. I personally imported this car and it has a clear Texas title in my name. This past May, Bonhams Auction House sold a low mileage twin to this Z1 fo $106,000 (including premium). I never even knew these existed. Do they have the traditional BMW cooling system issues? Same company must make BMW window regulators. My are always broke.